WheelTurnerHawaii.com: Sugar Sessions with Muir Skate and WheelTurnerHawaii. Sugar Sessions with Muir Skate and WheelTurnerHawaii. 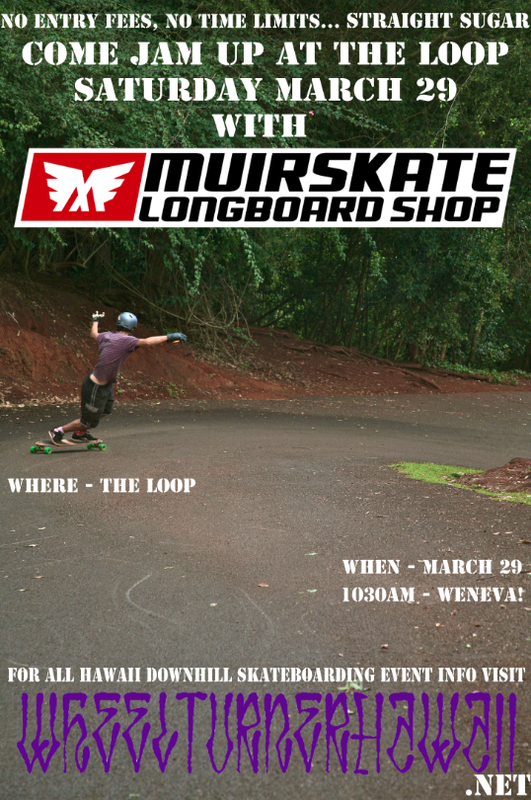 Come out next Saturday, March 29th to The Loop to sugar some wheel with the Muir Longboard Shop crew. They will be visiting the islands and want to chill with the locals n spread some Aloha. There will be no Entry fees, No time limits... just sugar all day. Ya may want to bring some refreshments to keep yourself energized but thats about it. Bring your steeze n' a bunch of extra wheels and we will see you next Saturday.